Today is the day one of the founding fathers of Dominican Republic was born. The Dominicans remember today is the 199th anniversary of the birth of Juan Pablo Duarte. He was born in Santo Domingo on January/ enero 26, 1813 and died in Venezuela in 1876. (more information about Juan Pablo Duarte). The real day of Duartes birth is this Thursday the 26th but the official day of celebration is scheduled for Monday making for a long weekend off from January 27th to the 30th. 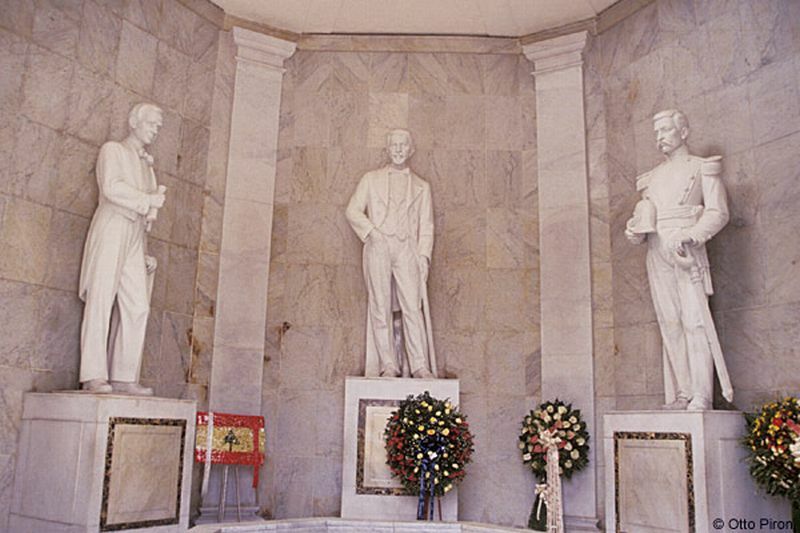 Today marks the Month of the Nation/ Mes de la Patria as there are several patriotic holidays starting on January 26 with the celebration of the birth of Juan Pablo Duarte then Mella’s birth on February 25, Flag Day on the February 19th and Independence Day/ la Independencia de la República. on February 27. There was a parade in San Francisco de Macorís. There was also held a ceremony at the Iglesia Santa Bárbara where Duarte was baptized. Then they proceed to his birthplace and home at the Duarte Institute/ Instituto Duartiano on Isabel la Católica in the Colonial Zone. After this the official procession goes to the Altar of the Fatherland/ Altar de la Patria, in the Independence Park/ Parque Independencia to a wreath for the memory of the Founder of the Republic. 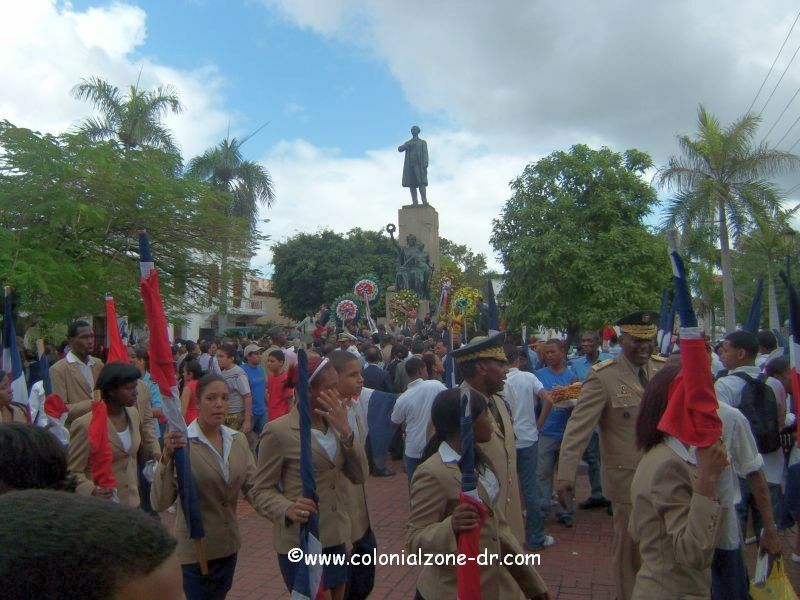 There are also wreaths placed in Parque Duarte in Colonial zone where festivities are held also. Events, News - Editorial 26, anniversary, birth, birthday, celebration, ceoebrations, day, dominican, dominicans, duartes, enero, error, founding father, himno, holiday, hymn., january, juan pablo duarte, memory, mes de la patria, month of the nation, partia, patriot, patriotic, video. permalink.